Light up the trail with a set of Hella off-road lights (part number 82207271). This 6.5-inch round Hella off-road 55-watt lights put out 75,000 candle power of illumination to show the way ahead. Pair them with the mounting kit and wiring harness and they provide bright light for illumination when your high-beam headlights are on. 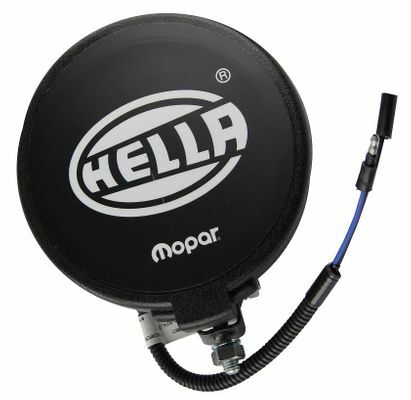 These lights come in pairs and the Hella Mopar protective black covers are included. These lights come with a universal wiring harness that connects directly to your battery and a switch. Depending on your vehicle, mounting locations and methods will vary depending on your personal preference and application. Custom installation may be necessary.